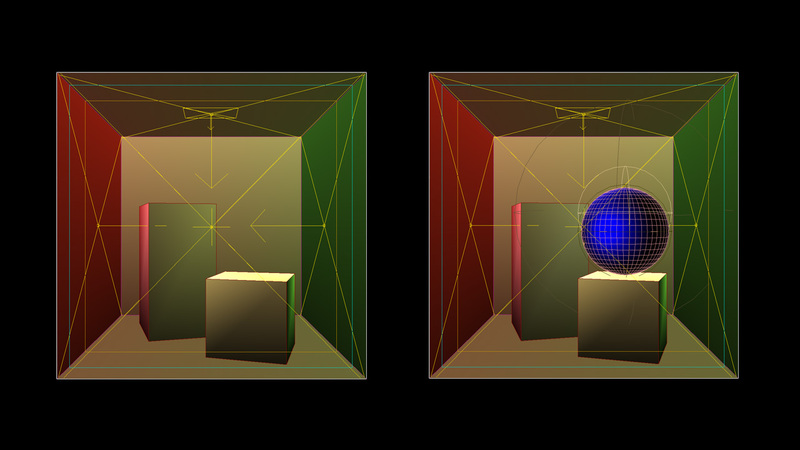 The following technique explains how one can simulate the effect of radiance (diffuse colour transfer from object to object) through the use of object-localized lights. This technique effectively eliminates the use of any global illumination renderer and is therefore applicable by virtually any competent 3D animation software. The concept of simulating radiance is rather simple, although it can become quite complicated depending on the complexity of the scene. The idea is place various lights at distinct object locations, colored similarly to the object’s diffuse color. A falloff must be specified in order for the light to respect distancing and the intensity should be kept to a minimum in order to avoid the illusion of self-illuminated objects. In the examples below, for instance, coloured lights have been placed at each wall matching the diffuse color. It is important to mention that radiance is not the same as global illumination. It is an aspect of global illumination. Below you can see the light setups. 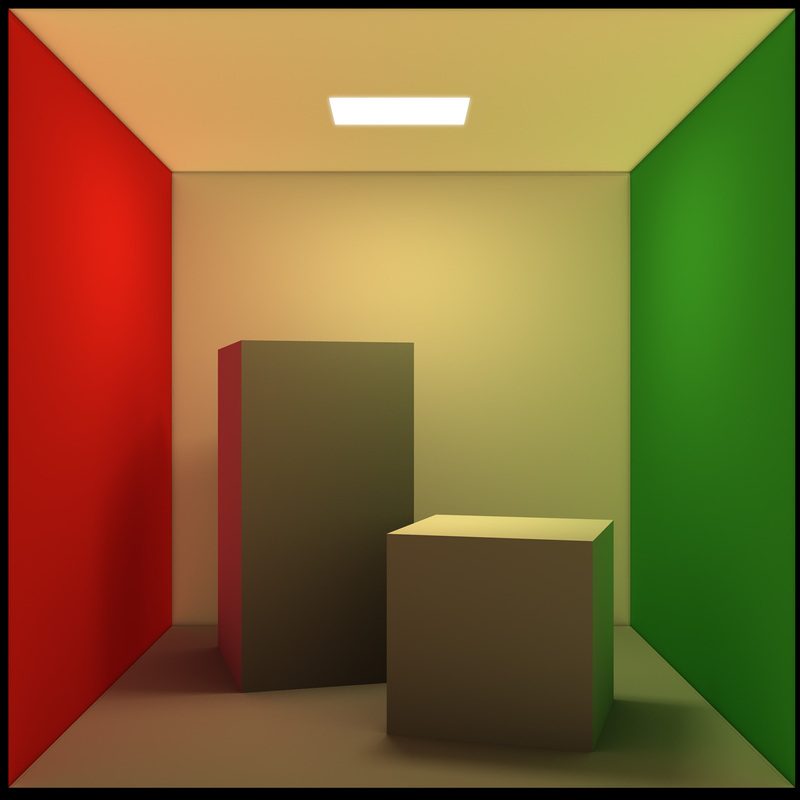 To see real-world examples of radiance, check out the Cornell Box Physical Model project. 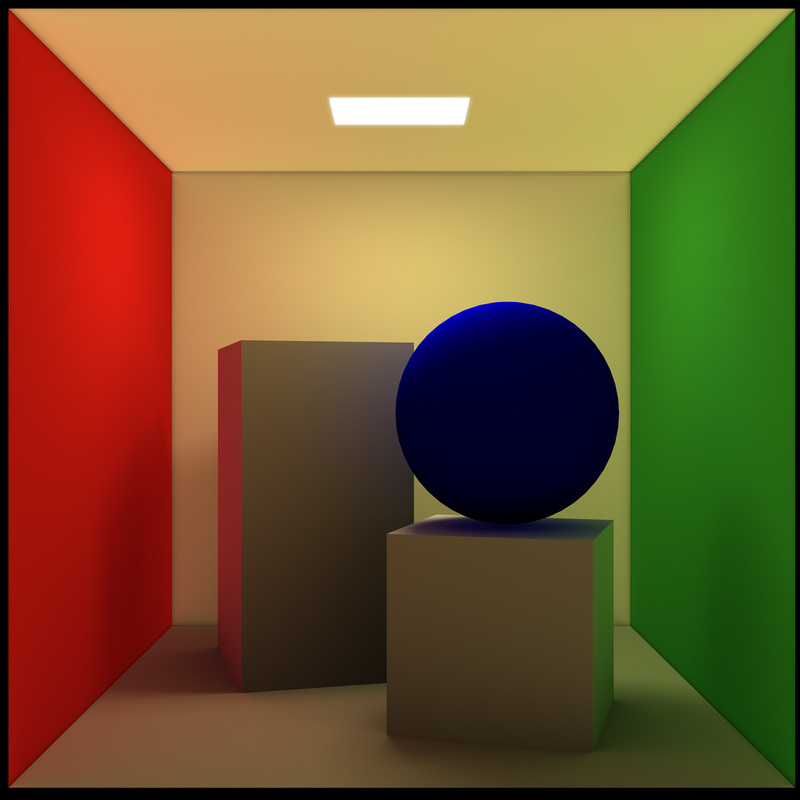 To see a virtual example of the Cornell Box with global illumination rendering, check out the Cornell Box Virtual Model project. Should you require a fast, alternative rendering solution for global illumination, check out the Dome Lighting project.